Special Season Package on M.A.P. Special Off Season Package on M.A.P. Himland East is Shimla's first drive-in-hotel. Established in the year 1969, has elegantly renovated 24 double/deluxe rooms and public areas that hotel provides is the choice you can't afford to miss. Just. 1 km. From the Shopping Mall and Lift, away from the hustle bustle of the crowed city yet with in the city. 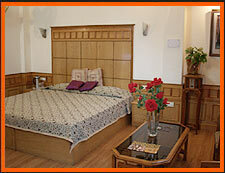 With all modern amenities and facilities of three star hotel. It has its own parking space-rare for the town for safety and security of your vehicle. It is a home away from home best suited for families and honeymooners. 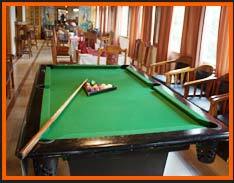 For the business personnel, the hotel is ideal having most of Shimla's business and office locations with in a radius of two kilometers. And to the most famous Shopping Mall, you can just hop across. 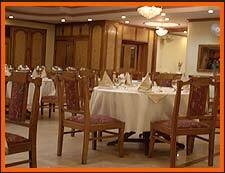 The multi cuisine restaurant offers Indian, Continental and Chinese preparations, round the clock room service. We accept Credit Card such as Master, Visa and Amex, taxi service, Doctor on call. It has facilities of conferencing of utmost convenience. Equipped to cater for Conferences up to 80 persons, the hotel also provides best of arrangements for banquets and marriage receptions for even upto 350 Persons. We are a Leading Hotel Service Provider in Shimla like luxury Shimla hotels, Shimla budget hotels, discount hotels in Shimla, hotel facilities in shimla, multi cuisine Restaurants in shimla, Shimla 3 Star Hotel, deluxe Shimla hotels, special off season packages Shimla, luxury resorts in Shimla, shimla cheap budget hotels, economical hotels in shimla, budget stay in shimla hotel, season discounts in shimla hotels, hotel accommodation in Himachal Pradesh. 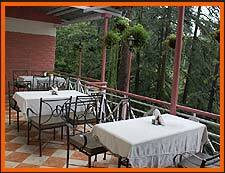 We also provides Online Reservation for Shimla Hotels and Restaurant. Hotel Himland East Multi cuisine Restaurant offers Indian, Continental and Chinese preparations, round the clock room service. We accept Credit Cards such as Master, Visa and Amex, Money Changers, taxi service, Doctor on call. Hotel Himland East has elegantly renovated 24 double/deluxe rooms & Public areas that Hotel provides is the choice you can't afford to miss. All the rooms have attached bath with running hot and cold water, wall to wall carpet, telephone, CCC TV with satellite transmission programmes all 24 hrs. 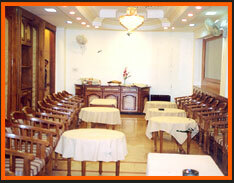 Hotel Himland East has facilities of conferencing of utmost convenience. Equipped to cater to conferences for upto 80 persons, the hotel also provides best of arrangements for Banquets and Marriage receptions for even upto 350 persons. Our professionally qualified team of ever friendly and courteous staff will always be ready to be of help to you for anything that you may require. Off Season 10th Jan. to 31st March, 15th July to 14th Sept.